This is one of my absolute favorite dishes! My Mom used to make it growing up and my brothers go crazy for it. My husband is also a big fan. In a home where we don’t make many things twice (too addicted to trying new recipes), this is a dish we have about once a month. 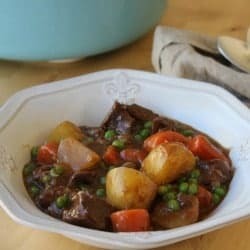 It is quick, easy and delicious! I like my stir-fries to be vegetable-heavy, so they are healthier. 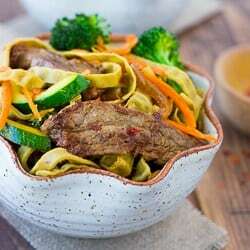 Since the vegetables are cooked quickly, stir-frying is great way to enjoy lots of vegetables with their nutrients intact. Using lots of vegetables also cuts down on the amount you have to spend on meat, which is always a plus. The sauce in this dish is truly a perfect balance. If you like things a little hotter you can definitely add more hot sauce. As is, the heat is just subtle and in the background. One of our family’s all-time favorites! Heat oil in saucepan until very hot and fry beef until brown. You may have to do this in 2 batches so you don’t overcrowd the pan. Remove beef with slotted spoon and transfer to a plate. Add more oil if needed and saute onion for 2-3 minutes. Add the celery and green pepper and saute for another 2-3 minutes. Add the ginger and shredded carrots and saute for about 1 minute. Add the sauce and beef back to the pan and cook until heated through. Serve over rice if desired. Enjoy! 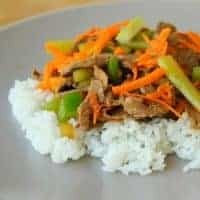 Very simple and delicious stir fry! I will try to cook this next week for out family dinner. I hope you can post more recipe like this. 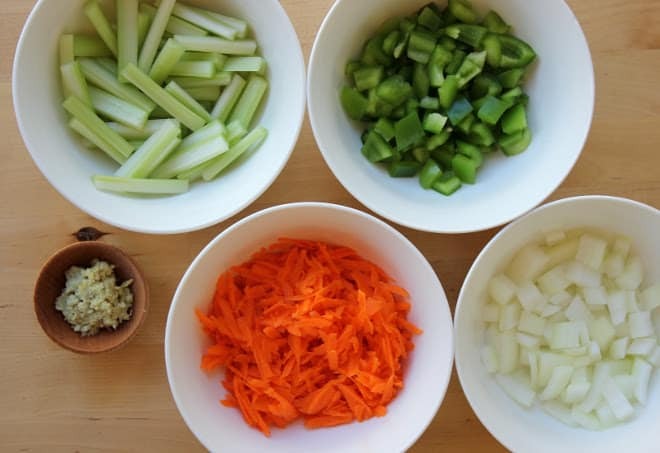 Anyway, I will also recommend a site about stir fry recipe, just View Here! This is a favorite in our house, one we reserve for special occasions. So flavorful and satisfying. So good! Made this last night. Didn’t add salt to the sauce but I did salt the steak before cooking and it was just the right amount for us. Thanks for a great recipe!